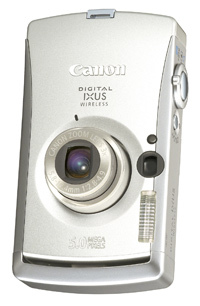 TrustedReviews: Although it is very expensive for a 5MP compact, the Canon IXUS Wireless is an extremely high quality camera that is versatile but easy to use, and is capable of taking superb pictures. The WiFi connection is easy to set up and use, and works well. The only question is whether wireless downloading would be sufficiently useful to you to justify the price.